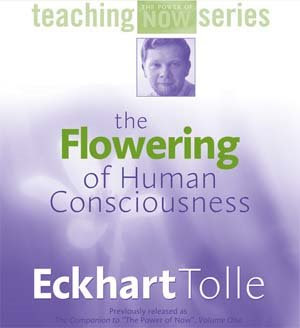 Ekhart Tolle's teachings from his bestseller "The Power Of Now" presented in a video from the Namaste Publishing Inc. The aim of Tolle's teachings is the transformation of individual and collective human consciousness, a global spiritual awakening. Not that which the eye sees, but that whereby the eye can see: know that alone to be Brahman the Spirit and not what people here adore. Not that which the ear hears, but that whereby the ear can hear, know that alone to be Brahman the Spirit. Not what the mind thinks .... but that whereby the mind can think, know that alone to be Brahman the Spirit and not what people here adore ! You are not your thoughts. You are the awareness behind the thoughts. Thoughts are often negative and painful, yearning for or fearing something in the future, complaining about something in the present or fearing a matter from the past. However, the thoughts are not you; they are a construct of the ego. Awareness of your thoughts without being caught up in them is the first step to freedom. Only the present moment exists. That is where life is (indeed it is the only place life can truly be found). Becoming aware of the 'now' has the added benefit that it will draw your attention away from your (negative) thoughts. Use mindfulness techniques to fully appreciate your surroundings and everything you are experiencing. Look and listen intently. Give full attention to the smallest details. Accept the present moment. It is resistance to the present moment that creates most of the difficulties in your life. 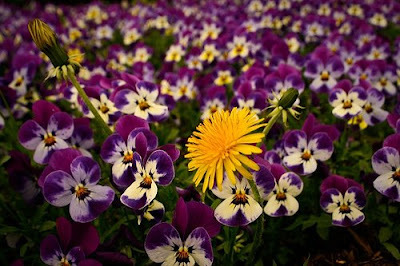 However, acceptance does not mean that you cannot take action to rectify the situation you are in. What is important is to drop resistance so that you let the moment be, and that any action arises from deeper awareness rather than from resistance. The vast majority of pain in a person's life comes from resistance to what is. Observe the pain-body. Years of conditioned thought patterns, individually and collectively, have resulted in habitual emotional reactions with an apparent personality of their own. During 'pain-body attacks' we become completely identified with this 'pain identity' and respond from its agenda--which is to create more pain for ourselves and others. Observing the pain-body is awareness itself arising--as it allows humans to separate from this unconscious identification with pain.